The Centre for Eyecare Excellence offers a number of clinics where our third year students will carry out comprehensive eye examinations under the direct supervision of qualified optometry staff and, if required, undertake a detailed assessment of the health of your eyes and screening for diseases that affect the eyes and vision. Appointments are available to all staff, students and members of the public. The eye examinations are very thorough and closely supervised and therefore may take up to two hours to complete. 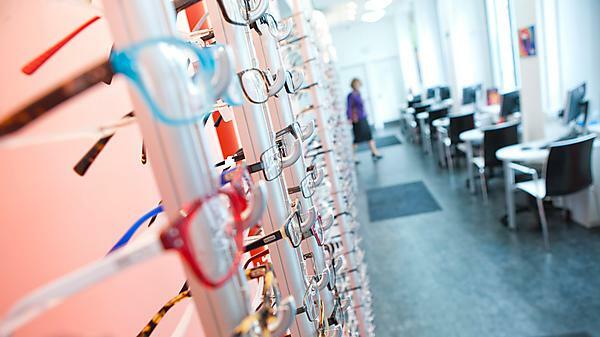 Eye examinations carried out by our students are free of charge and discounts will apply on spectacles (20%) and contact lenses (10%) purchased here following these appointments. It is also possible to have a sight test carried out by one of our qualified optometrists. These cost £25, or £15 for University of Plymouth staff/students (free with NHS eligibility). Please call us on +44 1752 583100 or email cee@plymouth.ac.uk to make an appointment. We're open from Monday to Friday 09:00-17:00 during the academic year.